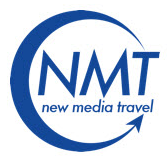 New Media Travel is a thought leader in the travel industry. With a robust Youtube channel, several active Twitter accounts and exciting Facebook fanpage, they are highly active in social media. Cedar Creek Cabin Rentals was a client I met through contracting with 98 To Go- an inbound marketing agency. They are a luxury cabin vacation rental business in Helen, GA. I helped them with blog content distribution and Facebook fanpage management and promotions. We also posted somewhat regularly to Twitter and Google+ though we did not focus on growth on these sites. Mother Earth Baby is a baby boutique in upstate NY that needed help creating a buzz for the opening of their second brick and mortar store. We connected with a related, local blog to set up a couple of promotions to bring in some traffic and more likes for their Fanpage. Amalpest is the leading Pest Control provider in Australia, and they wanted to have a social media presence on Twitter to connect with people all over Australia they could share their knowledge with, and be there to answer questions their followers have. To help them I provided regular content for several months. Several of the social media clients I had were through inbound marketing agencies. I also provided these agencies copy and blog work. Not all of our clients want to be publicly advertised, and have a right to their privacy. We’re able to provide additional client samples upon request. Please email for referrals and recommendations. Clients are not listed for contact, but to show a sample of the past work experience.